One of the nicest things about having holidays with your children is that you can do the little things together that you normally don’t have time for. Such as cooking. 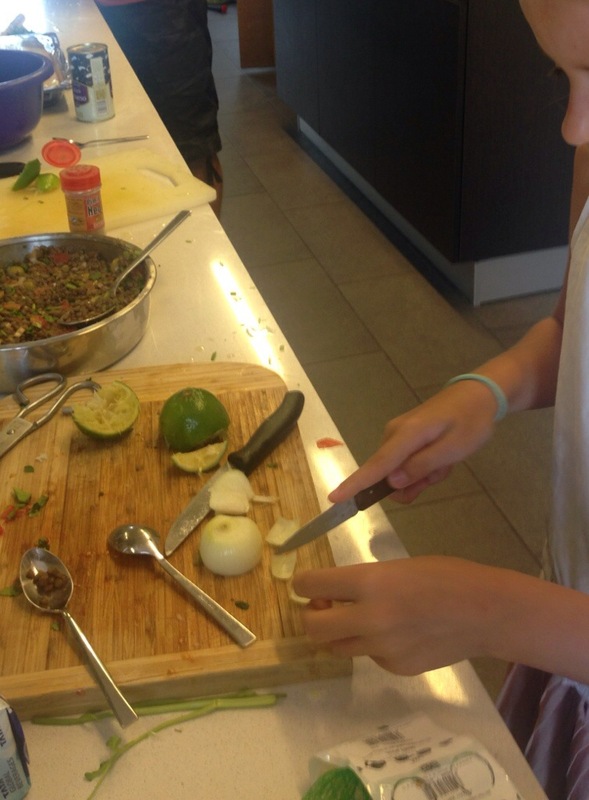 If you bring out a variety of vegetables and herbs to be chopped or sliced, you can almost guarantee that the little ones want to have some part of it. In part because it involves using a sharpish knife which is a no-go zone the rest of the time but also because it can imbue a child with a sense of pride for helping out with a meal. 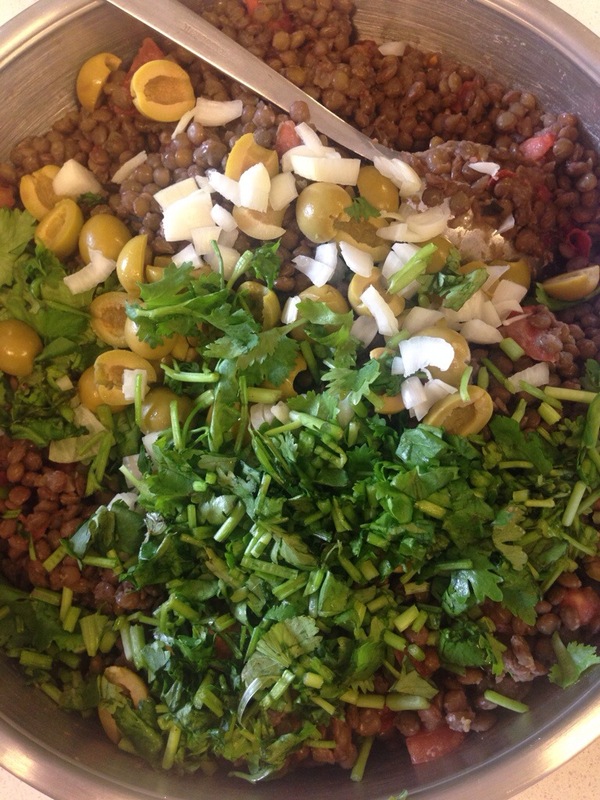 This lentil salad was lovingly prepared by my daughter and her friend and the pleasure they got out of chopping coriander into tiny pieces was a joy to see. Side by side, chopping board and sharp knife at the ready, they sliced, chopped and tailed everything we put in front of them. 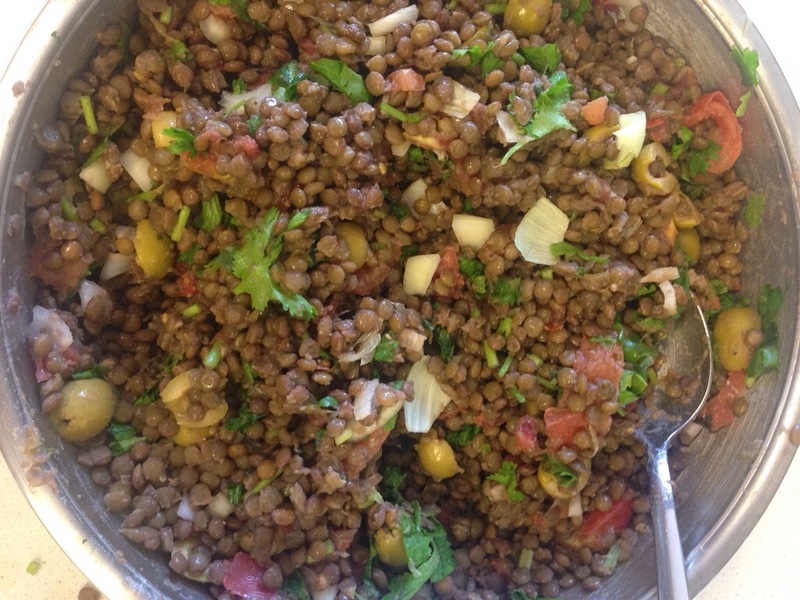 I can’t say that they also ate the lentil salad once finished but perhaps the concept of a salad made of lentils will one day be of interest, coupled with the hands on experience of using fresh ingredients in its natural state. It is all about being exposed to the right things at an early age and subconsciously, as by osmosis, they may want to emulate one day what they absorbed all those years ago. At least that is my theory. In any case, the adults thoroughly enjoyed the fruits of their labor and hopefully you will too.